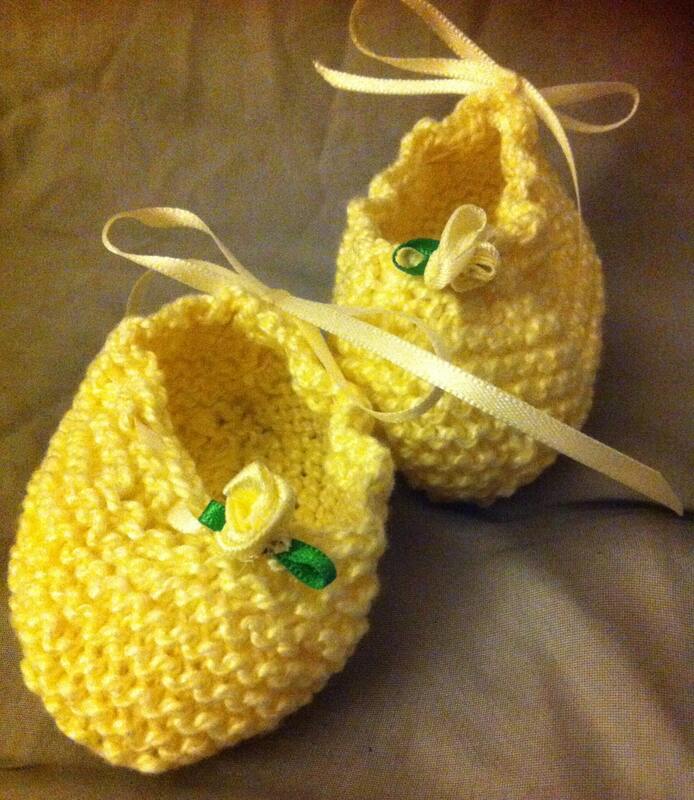 Pretty little baby booties perfect for a gift for a newborn. Hand knitted and finished with a fabric rose and ribbon. In peach, yellow and blue. Email dufflecat@dufflecat.co.uk to us know which colour you would like.